Harmonia here, Community Manager at Robot Entertainment. I have some very exciting news to share: Orcs Must Die Unchained is coming to PS4 on July 18! Finally your orc-smashing, ogre-crushing, and kobold-crunching dreams can become a reality from the comfort of your couch! After a fantastic showing at last year’s PlayStation Experience, we wrapped up our open beta and launched Orcs Must Die Unchained for PC in April. Now we are thrilled to announce that the game will be arriving on PS4 with new content, game modes, and regular updates. All this for the low, low price of… nothing. That’s right! Orcs Must Die Unchained is free to play. 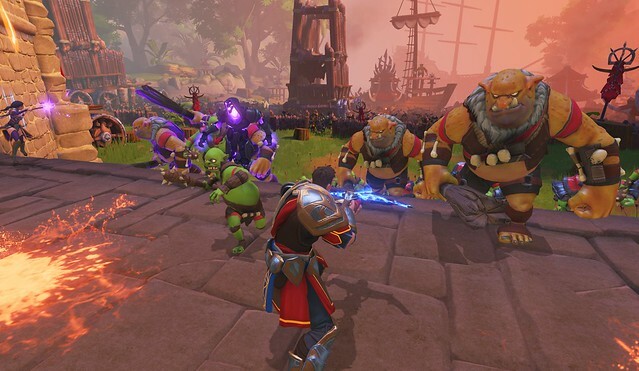 For those who are unfamiliar with Orcs Must Die Unchained, it takes the award-winning Orcs Must Die action tower defense gameplay to a whole new level with three-player team-based gameplay. Slay the invading hordes to protect your Rift, but don’t get cocky because the stakes are higher, the traps are bloodier, and the invaders are even more ravenous. You’ll need to bring your A-game and a couple of the biggest orc-haters you can find to fight off these hordes! 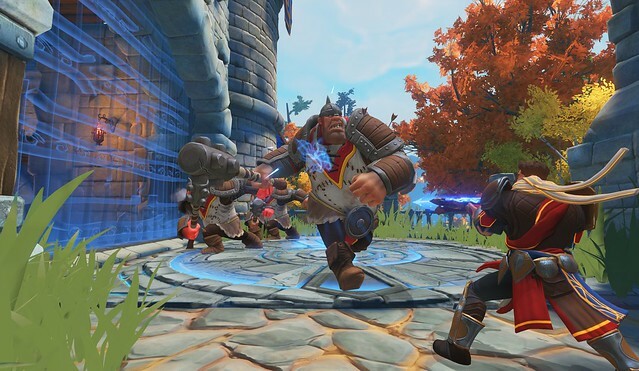 Set in the familiar world of its hilarious predecessors, Unchained introduces a pantheon of powerful new heroes, deadly traps, dynamic maps, and a variety of gameplay modes for players to hack, grind, flatten, gibletize, incinerate, and fling orcs in defense of the Rift. Defeat the invading armies to collect and upgrade traps, traits, and other powerful items. You’ll go from apprentice to rift lord in no time! Survival mode lets players slay their way to the top of the orc pile in 3-player co-op defense gameplay. Sabotage mode puts two teams of three head-to-head; troll the opposing team with powerful spells designed to weaken their defenses and summon enemies to overrun them — but be on guard as they’ll be doing the same. Weekly Challenges give players the chance to conquer challenging, inventive scenarios. Endless mode will keep the orcs, ogres, and other uglies comin’ until you break. In celebration of the release, PlayStation Plus players who install Unchained can jump-start their orc-smashing careers with an exclusive package of in-game currency, skins, consumables, and more. Valued at more than $20, this bundle is free for Plus members until August 17! See you at the rift on July 18!